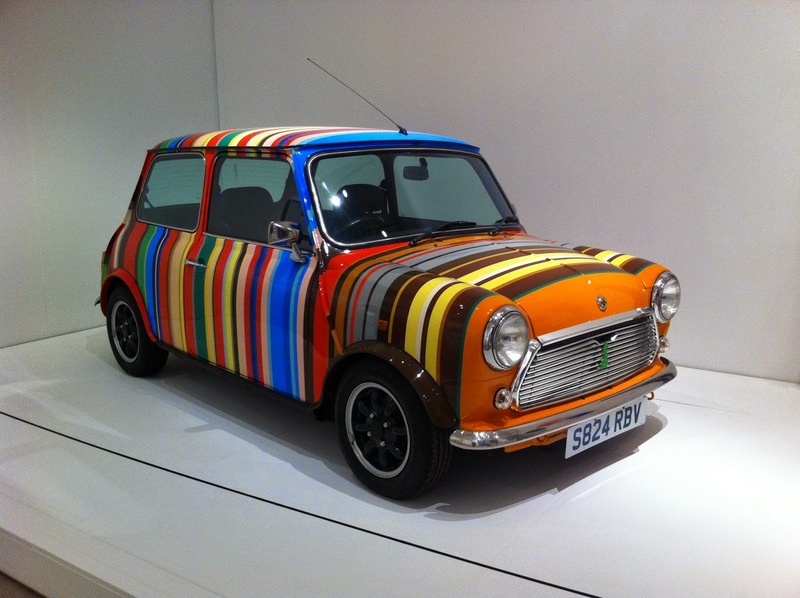 London has loads of great museums, but one of the most underrated (in my opinion) is the Design Museum. Tucked away at the end of a long passage of brick buildings - formerly dock warehouses, now mostly filled with restaurants - a 15-minute walk along the Thames from London Bridge, it's often overshadowed by the flashier museums in South Kensington and Covent Garden. 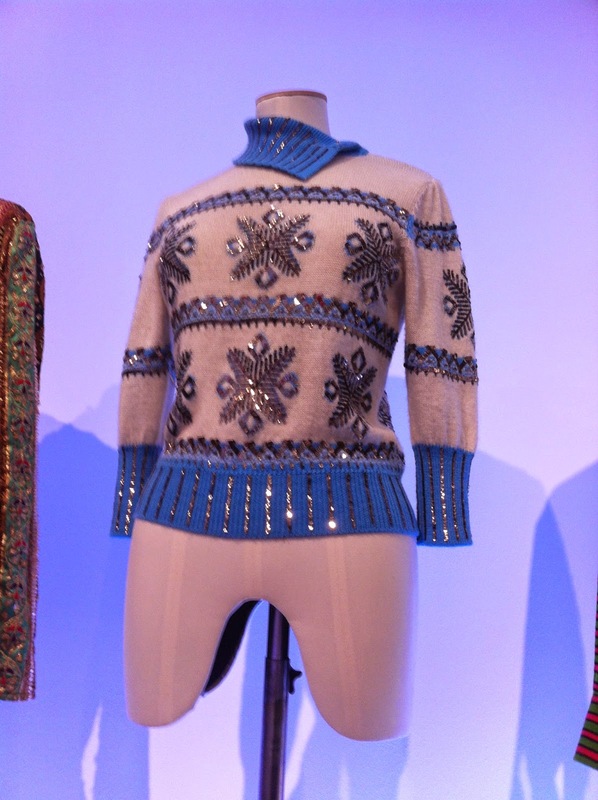 I'd been once before to see their Christian Louboutin exhibition and been really impressed with how they used the space, so was immensely looking forward to their current major fashion exhibition, a retrospective of the work of Paul Smith. I have to admit my main knowledge of Paul Smith was through his trademark colourful stripes, so the rest of his work was something of a revelation to me. What really stood out from the exhibition to me was Paul's apparent love of taking the everyday and making it even more beautiful, whether that's capturing details from an image and transferring it onto a piece of clothing or taking a traditional fabric and adding pops of bright colour or sharp tailoring to it. 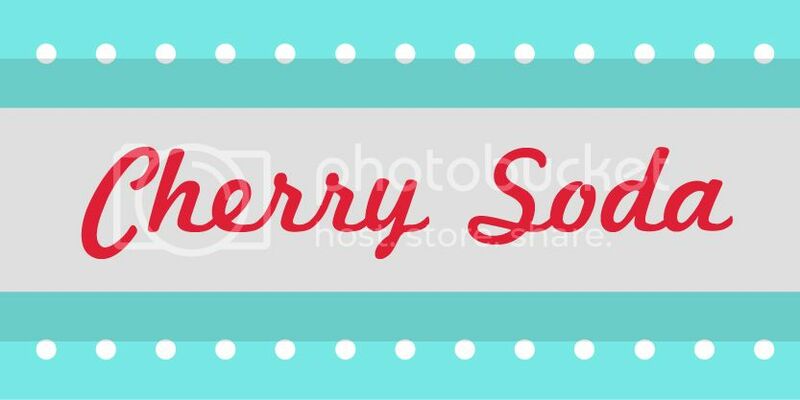 Unlike many other museums, there also appeared to be no restrictions on photography (yay! 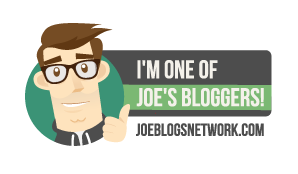 ), so I'm going to illustrate the rest of the blog with pictures and then talk you through it. 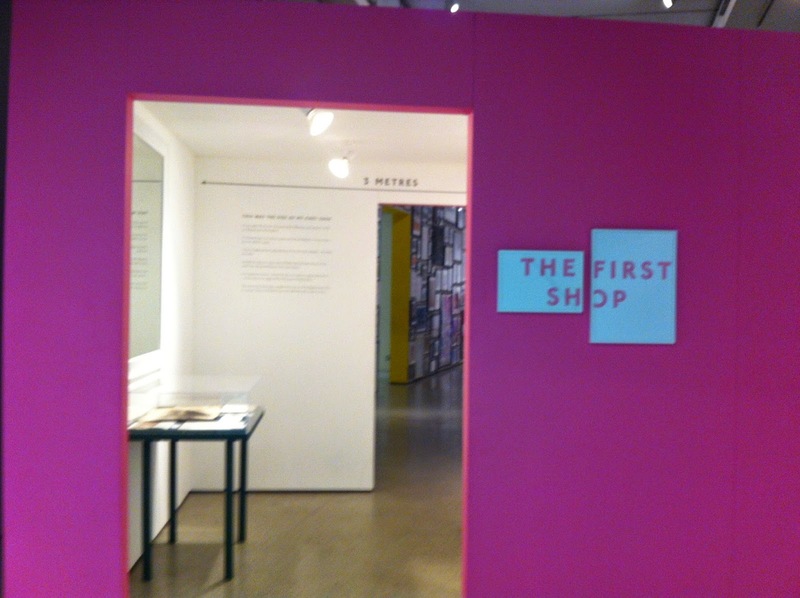 The exhibition opens with a mock-up of Paul's first shop in a back street in Nottingham. It is absolutely tiny, just three metres across! Walking through this to the main exhibition gives you an amazing sense of the scale of Paul's career - from humble beginnings to a global fashion empire. 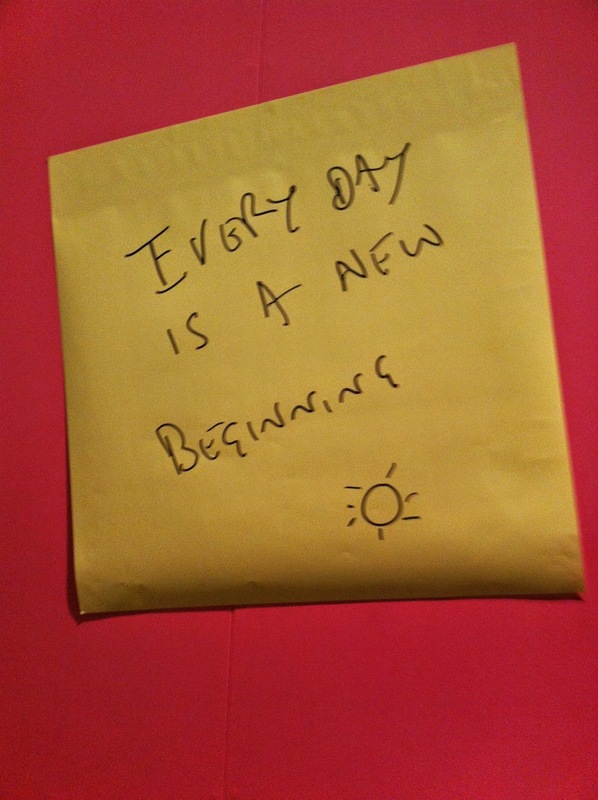 I love the handwritten notes accompanying the items in this case - it adds a lovely personal touch. And doesn't Birdcage Boutique look like a great place to shop? 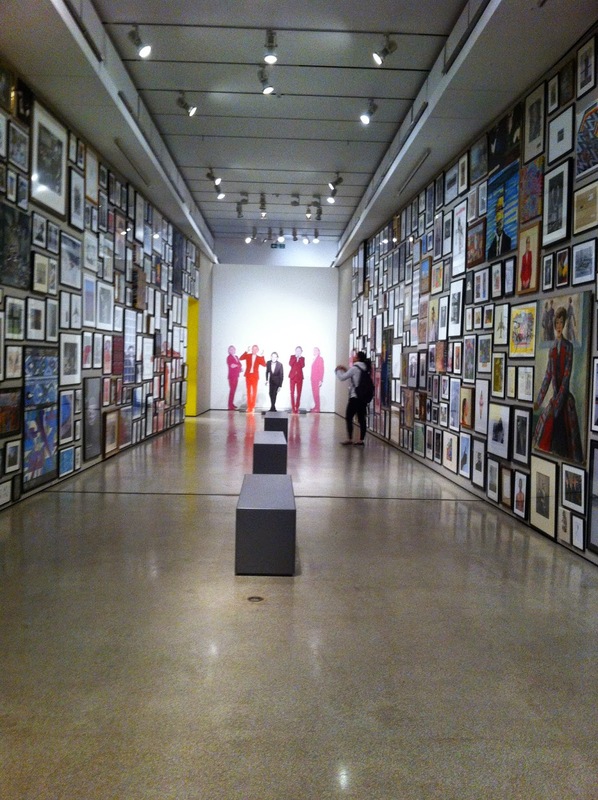 The exhibition is centred around a wall of images from Paul's personal collection, which he uses as inspiration for his designs. 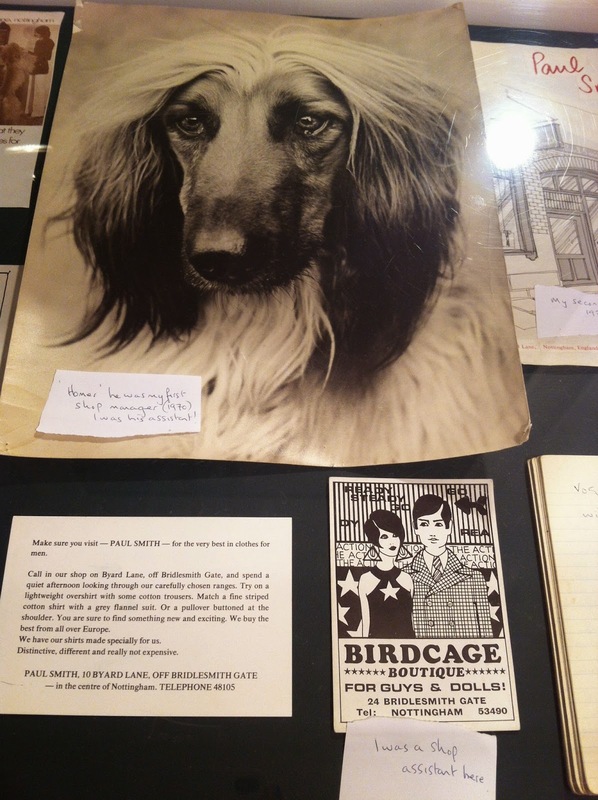 I took so many photos of this (though I won't bore you with them), because it's such an incredible eclectic mix - from beautiful paintings and handmade collages to modern art prints and quirky captioned posters. The rest of the exhibition snakes around the back of this central room, and is reached via doors off the main hall. 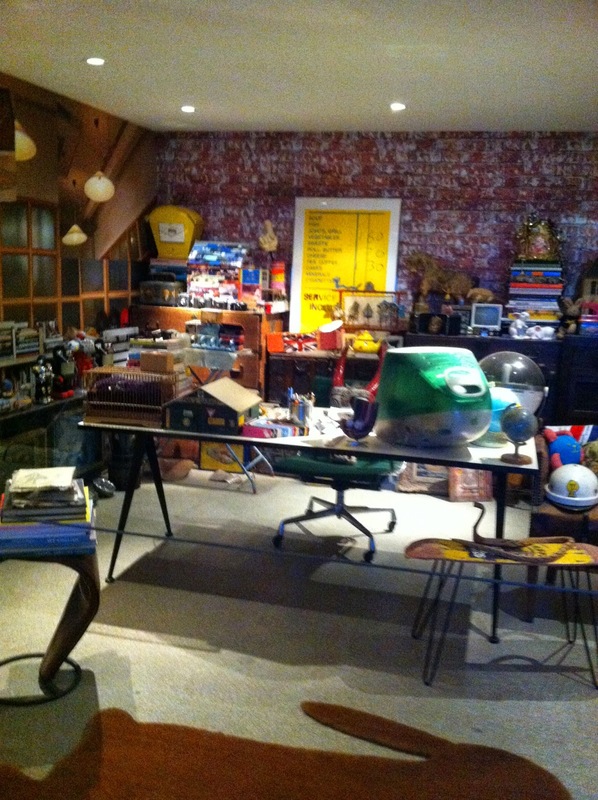 I love this recreation of Paul's office - from the mixture of the vintage toys and signs, to the everyday bits and pieces, and then the exotic touches like the mask on the chair and the snake on the table. It's organised chaos at its finest and proof that anything can be your inspiration. 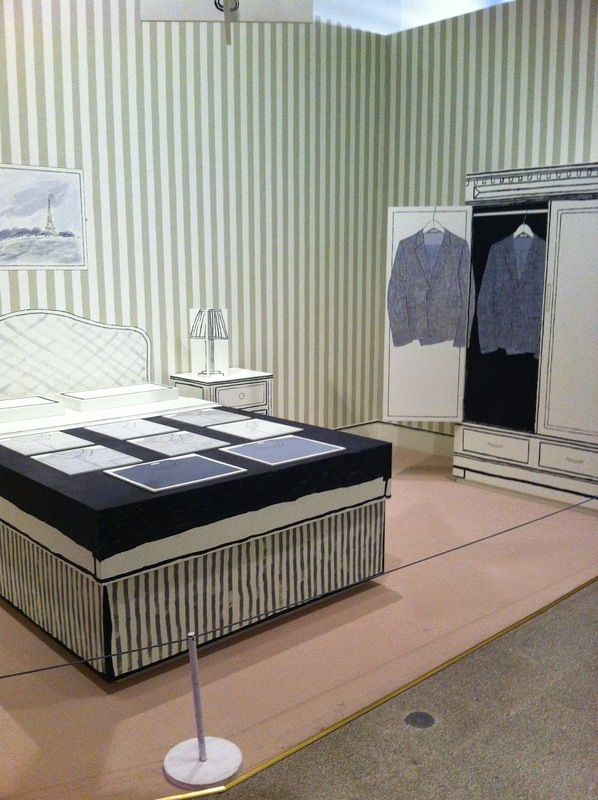 Recreation is a big theme in the first part of the exhibition, with Paul's first showroom in a Paris hotel room built entirely out of cardboard. I love the different tones of grey and the stripes - it's got a real vintage feel yet also seems timeless. 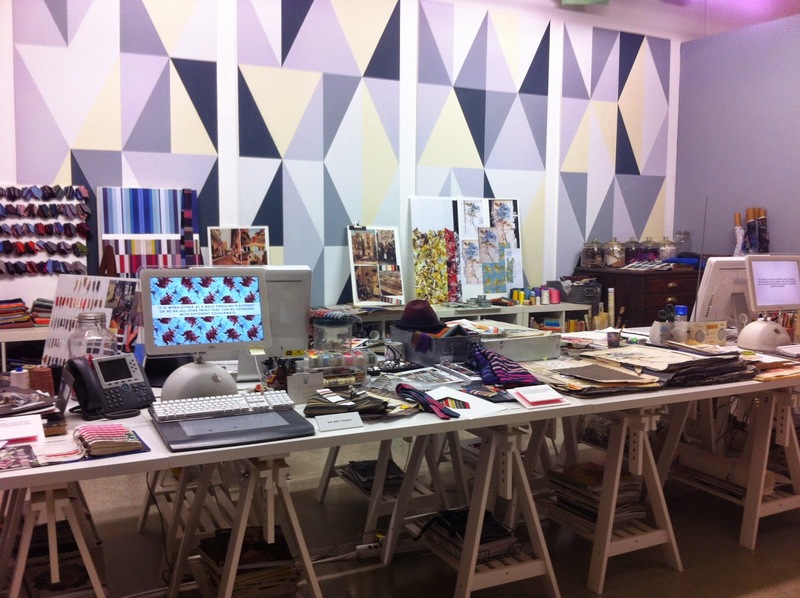 The studio is utterly incredible - it looks as if they've all just popped out for lunch! Everything is realised in perfect detail, from the offcuts of fabrics in glass jars at the back to the moodboards. I really loved the computer displays talking through how Paul and his team draw on their previous patterns to create new designs. Smith is very big on collaboration (though picky about who he will and won't work with), and many of them include his trademark stripes. This Mini, with its adorable British Isles map on the front, was his first. 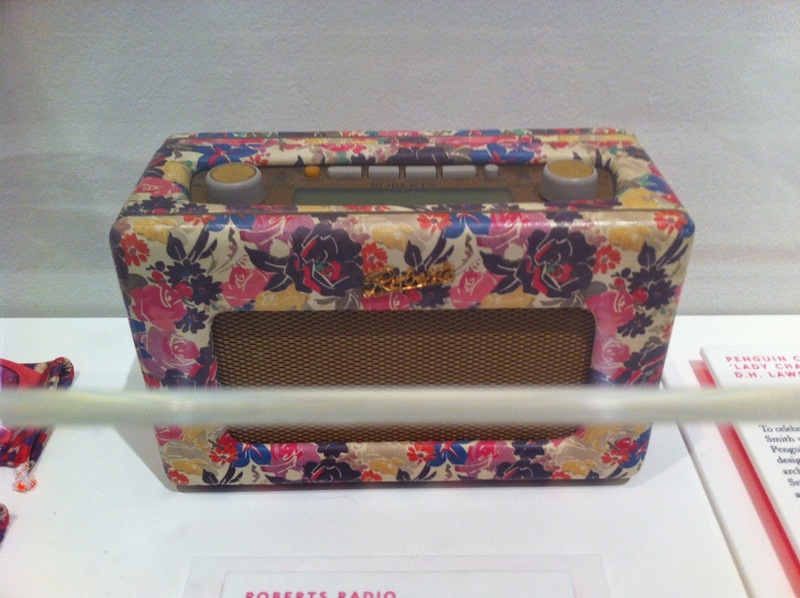 Smith isn't just known for his stripes though - this Roberts radio uses a floral pattern commonly seen on his pieces, and looks all the more awesomely retro for it. I love tea. I love stripes. I love colour. 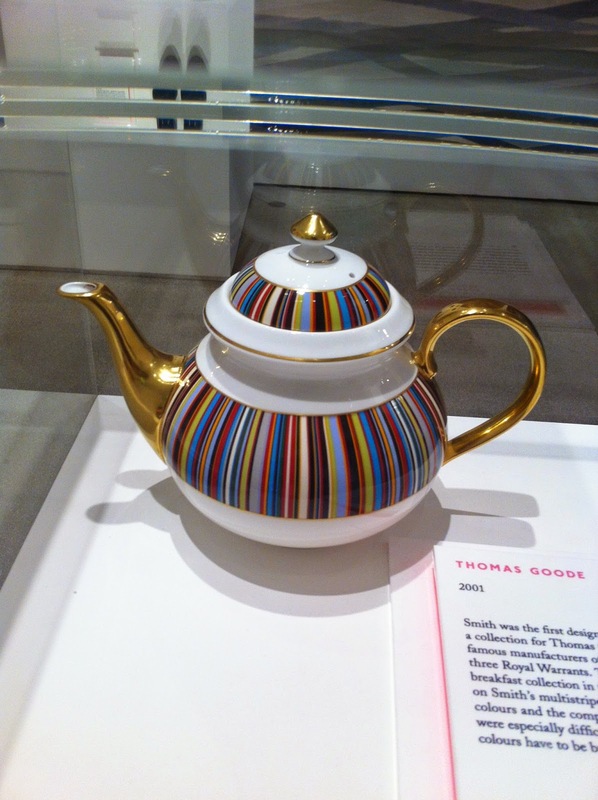 Therefore, inevitably, I love this Thomas Goode and Paul Smith teapot. 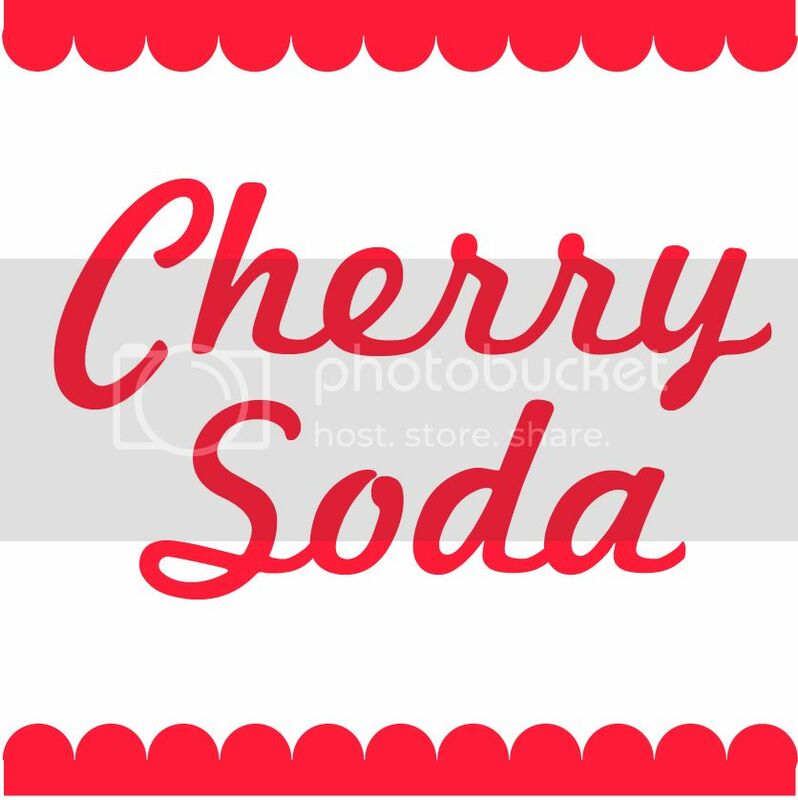 It's a brilliant marriage of tradition and modernity. 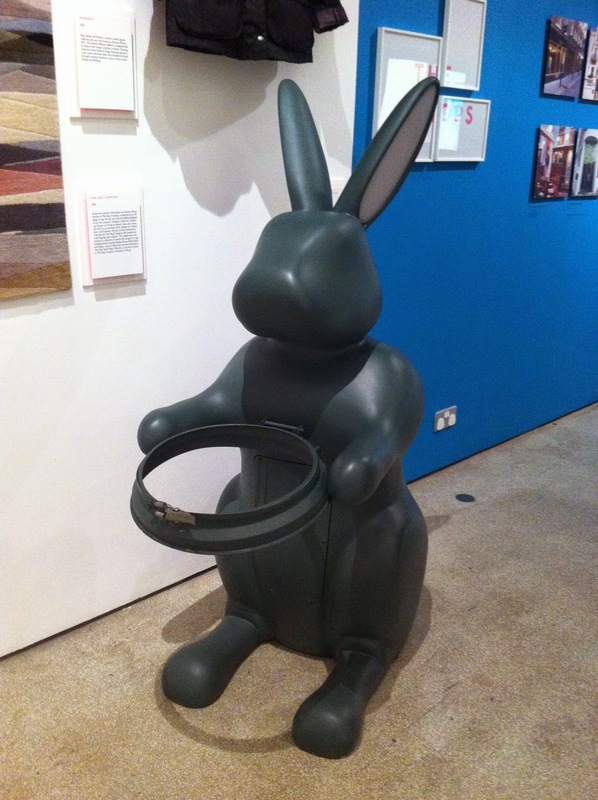 This, apparently, is a bin shaped like a rabbit that was made for an early Design Museum exhibition. No, I have no idea how it works either. Up close: Buttons! It's made entirely of buttons! This is the best thing ever. The penultimate room is lined with a selection of pieces picked by Smith which sum up the four main elements of his design: colour, print, travel and British heritage. These three pieces all come from the latter. 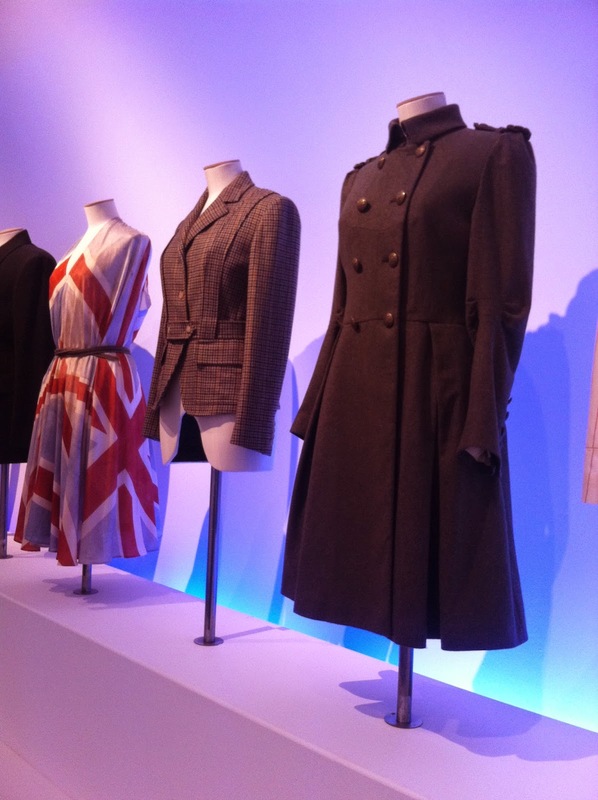 I love the sleeve and shoulder detail on the gorgeous military-inspired coat, and the Union flag dress looks like something a clever seamstress would have knocked up for herself at the height of the Blitz for a night of illicit dancing in a bunker somewhere. 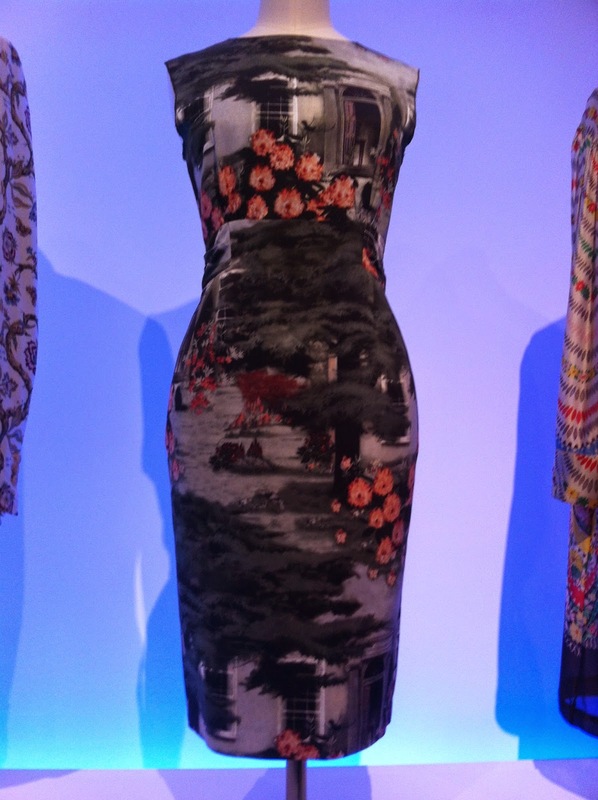 The shape of this dress goes perfectly with the kitsch suburbia-style print. It's the kind of thing I could see Joan Holloway slinking round the office in on an episode of Mad Men, complete with big hair and heels. 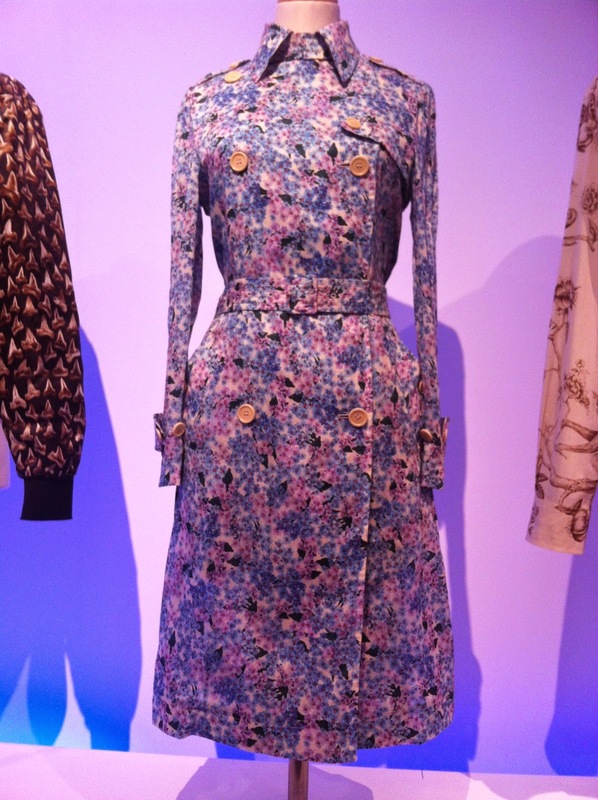 I love this mac - such a gorgeous springlike floral print that would brighten up any rainy day. Smith might be best known for his prints, but he also has an amazing eye for fabric. 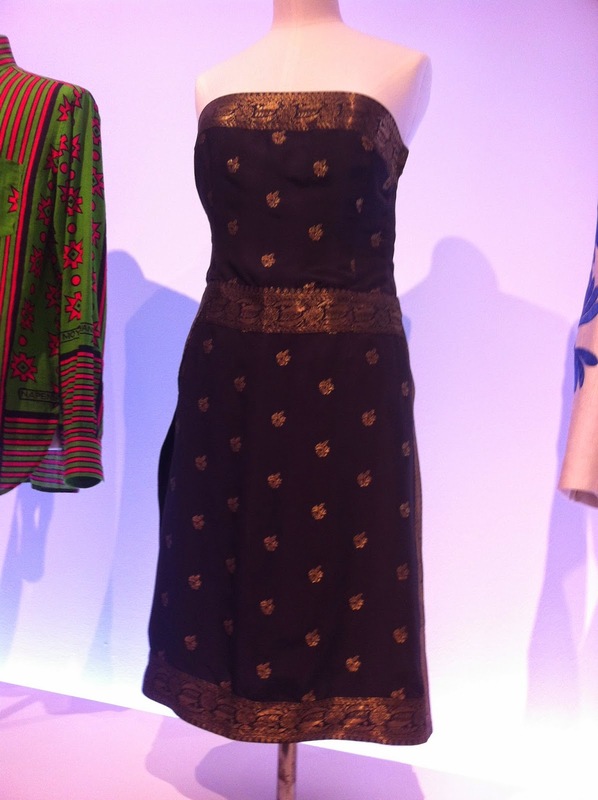 Along with the wildly printed Sergeant Pepper-esque jackets in the 'travel' section, the simple shape of this dress made from sari silk lets the beautiful fabric take centre stage. Possibly the coolest Christmas jumper ever. 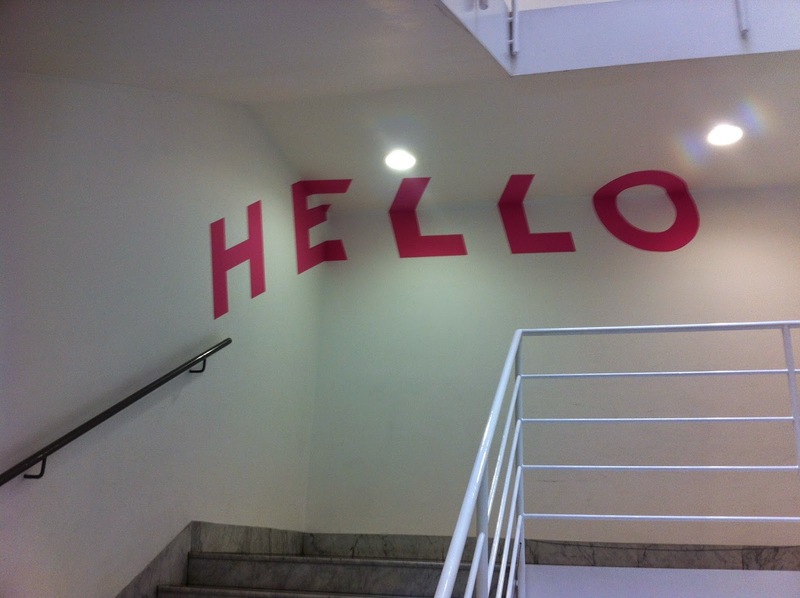 If you want to see Hello, My Name is Paul Smith for yourself then you'll have to be quick - it closes on 22nd June. It does cost £12.40 to get in but that will also let you in to the other two exhibitions currently showing at the Design Museum, so it's actually one of the cheapest temporary exhibitions in town if you go to all three. And even if it didn't, I couldn't recommend it enough - it's a brilliant, rounded portrait of a man who's been a huge influence on British fashion and a reminder that you have to see, not just look. 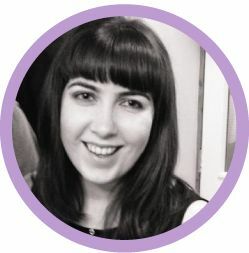 Have you been to Hello, My Name is Paul Smith? What's your favourite overlooked museum?